is mainly in 3 star hotels with one very good 2 star property. Upgraded accommodation is 3, 4 and 5 start rated. 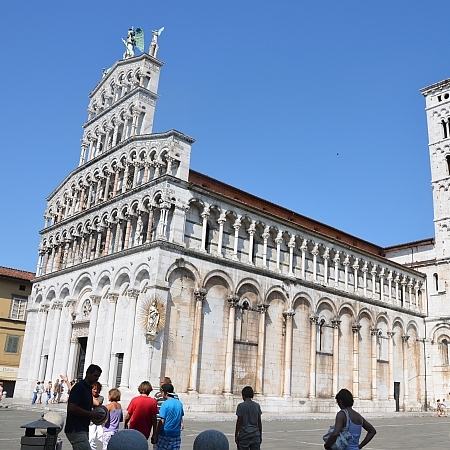 Check into your hotel in Pisa, then it would be a miracle in itself if you weren’t drawn to the Piazza dei Miracoli, but the lively university city has more to tempt than just the cathedral’s leaning bell tower. 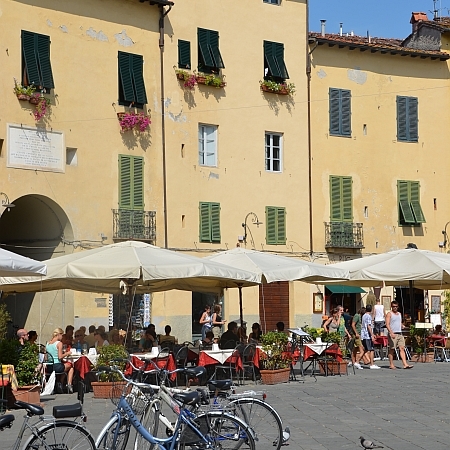 Away from the Duomo hot spot, historic ‘via’ lead to cool café terraces and many more miraculous legacies. 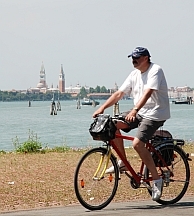 Start the day by riding along the River Serchio northwards on a gentle countryside route or step up the pace to scale the eastern edge of the Monte Pisani on a longer ride designed to make any appointment with pasta seem more deserved than ever! 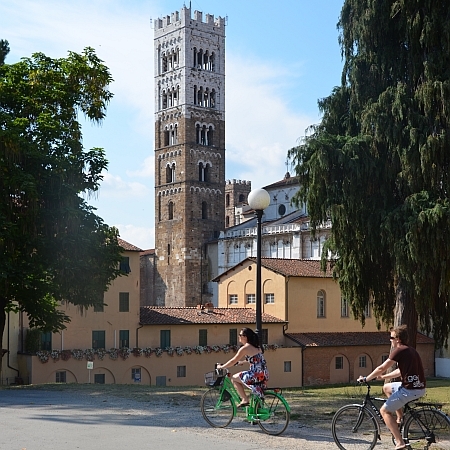 At the foot of the Apuan Alps, Lucca where you will overnight boasts the best preserved Renaissance town walls in Europe - a marvellous tree-lined park to pedal round. A panoramic ride leads to Pinnocchio Park in picturesque Collodi today; then again the aristocratic Villa Garzoni might be more up your Tuscan street. Pescia is packed full of palaces, more churches, mansions and a flourishing flower market before arriving in the famous spa town of Montecatini Terme for your next overnight. Why not enjoy a day at rest to mooch around this lovely spa town, taking the cable car up to the old city? 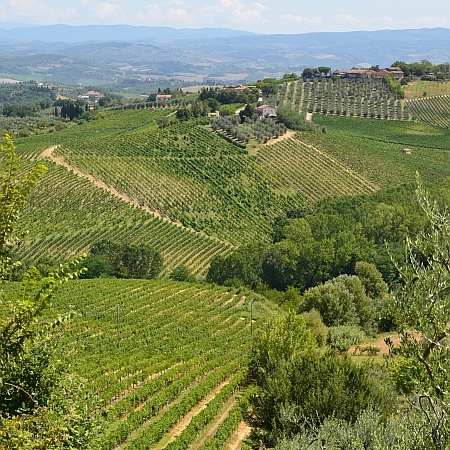 The pedalling alternative is to weave through olive groves and vineyards past Medici Villas and Leonardo’s home town of Vinci on a delightful circular tour before resting up back in Montecatini Terme. 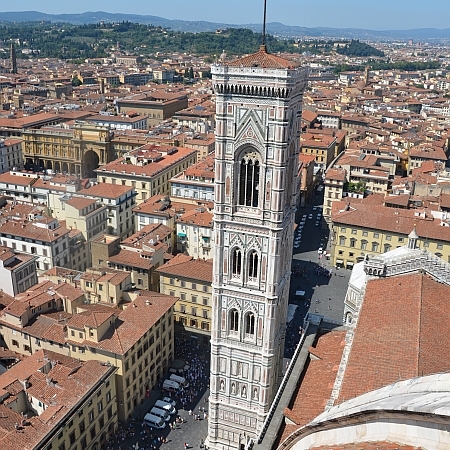 A short train ride is an option today to reach Pistoia with its entrancing cathedral square, then there’s a glide along the flatlands of Firenze to land in the very cradle of the Renaissance. 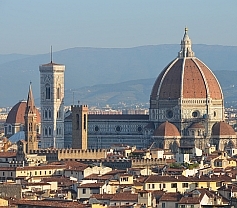 There are never moments enough in Florence, so we thought a two night stay would give time for a fine introduction. There’s certainly the company of Botticelli, Donatello or Michaelangelo, but whichever way you turn, Florence just can’t fail to please. Be sure to make time though for an evening ‘passeggiata’ across the Ponte Vecchio where shuttered shop windows gleam with gold like a row of open treasure chests. Your overnight is in Florence. 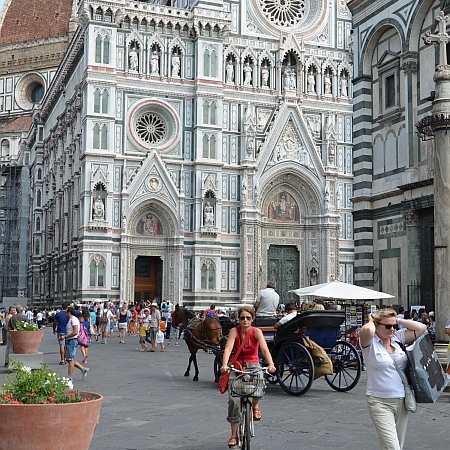 Day Six – A day to flourish in Firenze! It has inspired so many great artists and we are sure that it will inspire you. 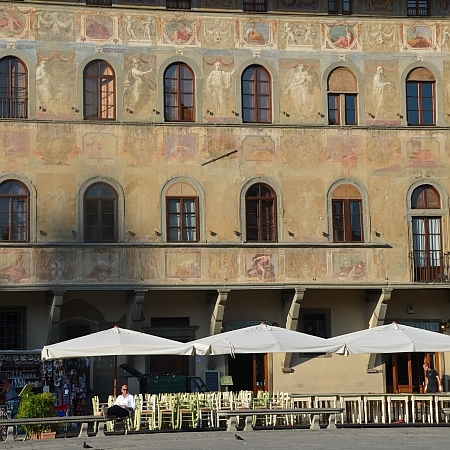 Set out to admire the frescos at the church of Santa Croce, visit the vast 13th century gothic cathedral or simply sit in a well-positioned piazza and watch the wonderful world of Florence whirl around you…go on, you choose and enjoy. 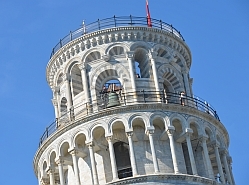 Your overnight is in Florence. 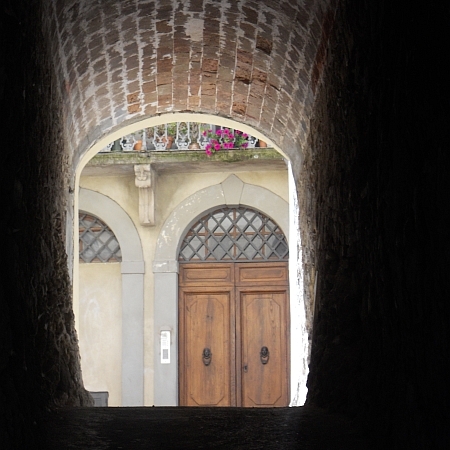 Your final day starts with a short train ride to Empoli for more piazzas and palazzo. 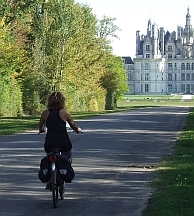 The tour then finishes as it started - by pedalling riverside paths, this time along the flood plains of the River Arno back to Pisa for your final overnight. 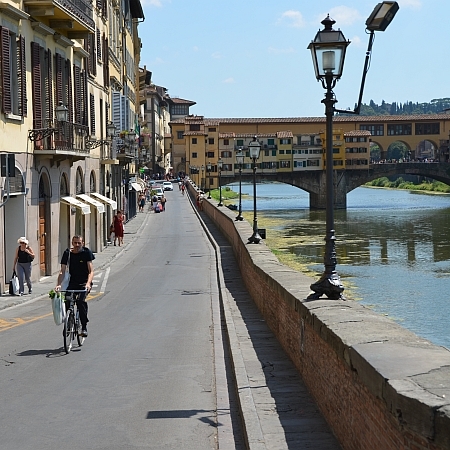 We’d be pleased to organise you an extra night or two in Florence before you either continue your cycle tour or return by train directly to Pisa. If you’d like to discuss these or other options, please call us to discuss your requirements.